Hands up if you child loves Hi-5. Hi-5 is an Australian children's musical group formed in 1998 . It's hard to believe that the group is 17 years old till date. If you wonder how the group could still look so young after all these years, it is because they are refreshed after a few years. That means a brand new show awaits! Join Stevie, Ainsley, Mary, Dayen and Tanika, as the sun sets for a huge Hi-5 sleepover party! With the help of Chats, the "Dream Meister", and her magical Dream Catcher, there would be plenty of wild, wonderful and wacky dream adventures for everyone! Enter the colourful and magical world of dreams with Stevie, Ainsley, Mary, Dayen and Tanika, as they embark on musical journeys through a jungle, fairy garden, outer space, underwater and even in the super cool world of superheroes! 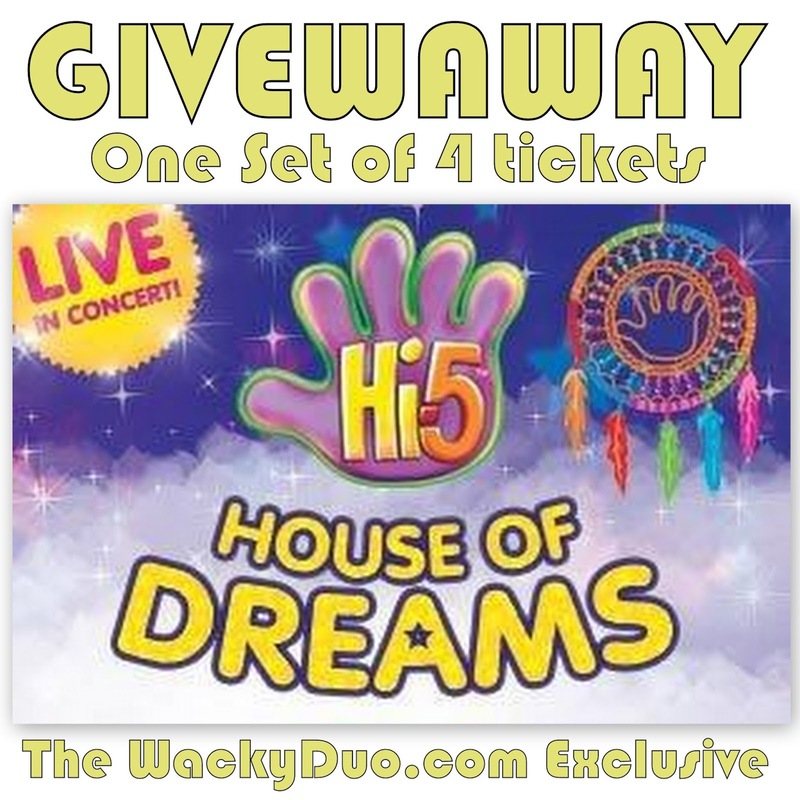 Each dream comes alive on stage with Hi-5's unique mix of irresistibly infectious songs and high-energy dances! Hi-5 has entertained more than 10 million children worldwide with over 15 successful series to date and continues to be ranked among the top three most successful pre-school TV shows consistently for the last 10 years. Expect a sleepover party that is guaranteed to be a fun-filled event to be enjoyed by the whole family. For our readers, we have a family pass of 4 tickets ($65 Category) on 13 Sep 1030am show for giveaway. Ticket Valid only for 13 Sep 1030am show. No changes are allowed and tickets are not transferable.